The original Pavilion was built in 1989 from materials donated by Mr. & Mrs. Ben Abbot. At that time the Pavilion was a simple cement floor with roof, and totem pole and was used as a place to hold meetings, community pot luck dinners and dancing on Saturday nights. In 2004 the Board of Director planned to enclose and finish the Pavilion as a community center. Many volunteers and tradesmen donated their time and expertise to finishing the building. The Pavilion was completed in the Spring of 2004 with Association Member donations of a refrigerator, stove and microwave. There are two (2) community private docks at the Pavilion with four (4) assigned boat slips. Today the Pavilion building will hold 125 people and has 14 tables and 125 chairs available for use. The Pavilion has windows, heat and restrooms and outside there is a basketball court, swing set, slide, monkey bars, jungle gym, and tire romp. There is one small charcoal grill and picnic tables. The Pavilion is available for rental by Association Members in good standing for $75, with a $75 cleaning deposit that is returned when the Pavilion is left clean and in its original condition. When the Pavilion is rented for community wide activities, it may be available free of charge. Pavilion rental forms and rules are available on the website at Association Forms. Contact Joelle Wrona at (616) 734-3252 or email helperjo@outlook.com. Cedar Point is an Association park with a swing set, slide, volleyball net, spring horse and picnic tables. 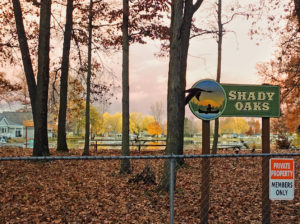 The park has two (2) community private docks on the north side, and six 6) community private docks on the south side, providing 16 assigned boat slips. 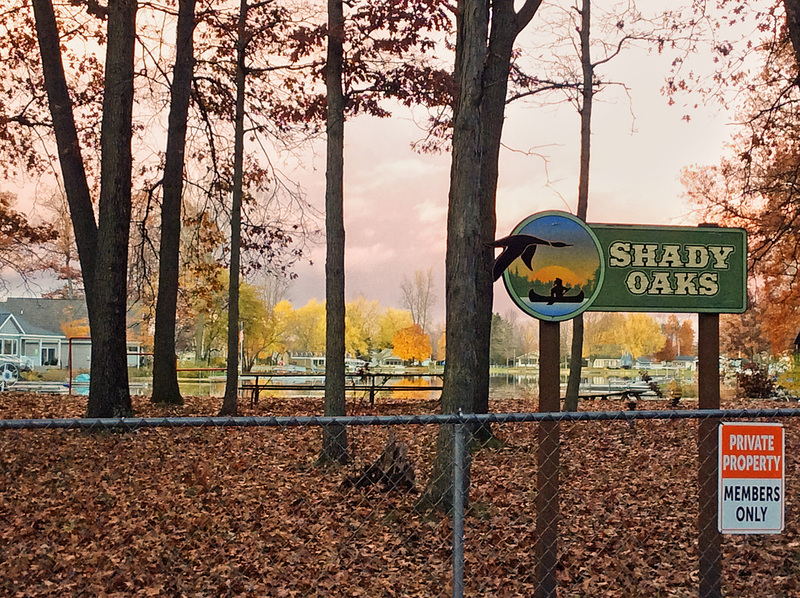 The Boat Ramp is a gated and locked ramp for Association Members to launch their boats on our private lake. The gate was installed in May of 2000 and each year (April 1) the combination of the lock is changed and given to Association Members upon receipt of their annual Association dues payment. A wooden sign of Indian Lake boating rules is posted at the Ramp and in the peak season has a port-a-potty and trash can. There are six (6) community private docks located at the Boat Ramp, providing 12 assigned boat slips. 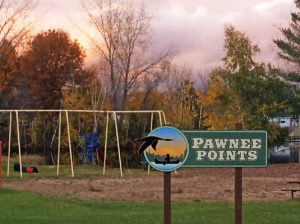 On the east side of Pawnee Points there is a park area with horseshoes, a slide in to the water, a swing set, monkey bars, jungle gym, tire romp and picnic tables. 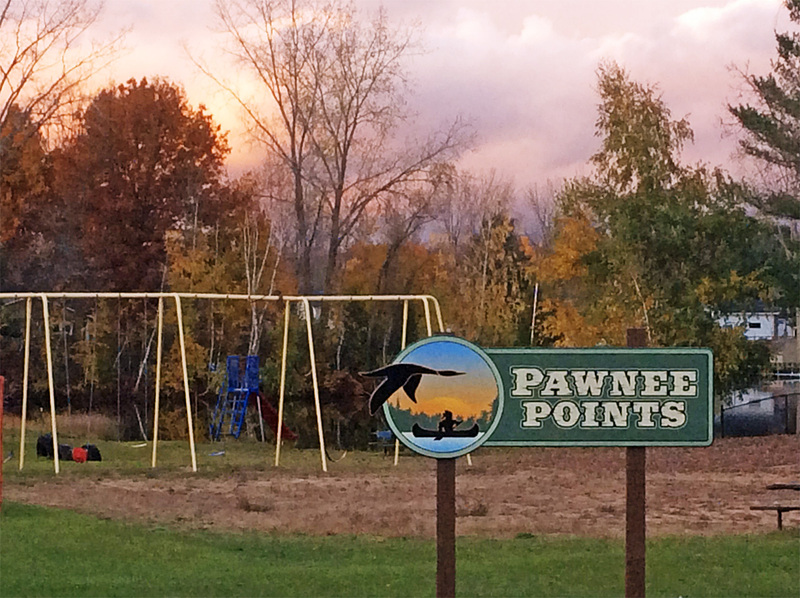 The west side of Pawnee Points has nine (9) community private docks, providing 18 assigned boat slips. Pow Wow Point is a great place to gather and swim. The Point has a sandy bottom and makes anchoring easy for boats and jet skis. There is a nice drop off for swimming, and Members should pay close attention to signage and ropes for safety in separating the swimming area and boat area. The Point also has picnic tables. Tee Pee Island hosts our annual professional fireworks display for the Fourth of July.